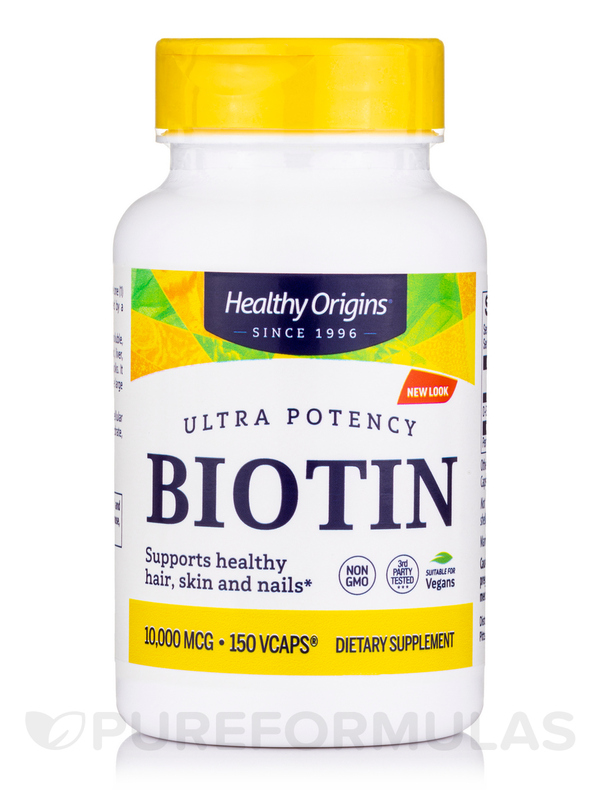 After taking Biotin by Healthy Origins I got flushed & felt my face was overheated. Gotta ask my M.D. what to do next. 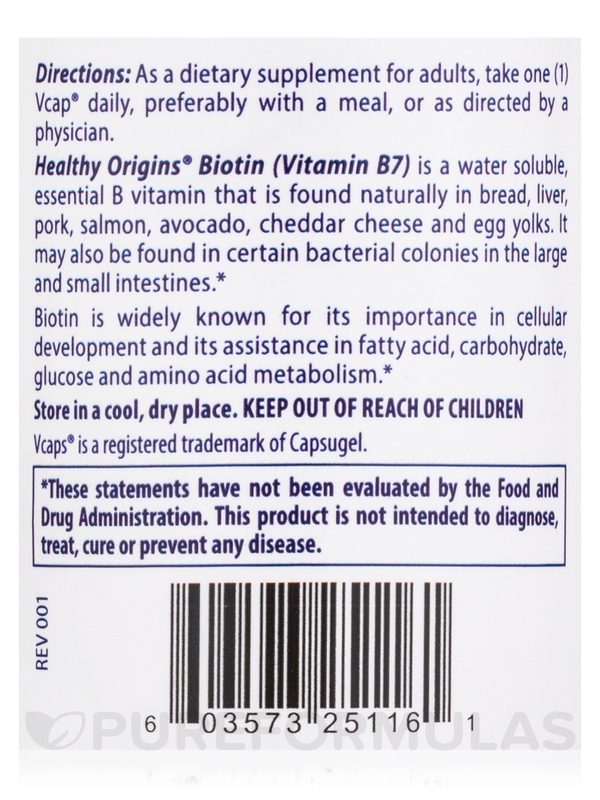 Biotin (Vitamin B7) is a water soluble‚ essential B vitamin which is naturally found in bread‚ liver‚ pork‚ salmon‚ avocado‚ cheddar cheese‚ and egg yolks. It may also be found in certain bacterial colonies in the large and small intestines. 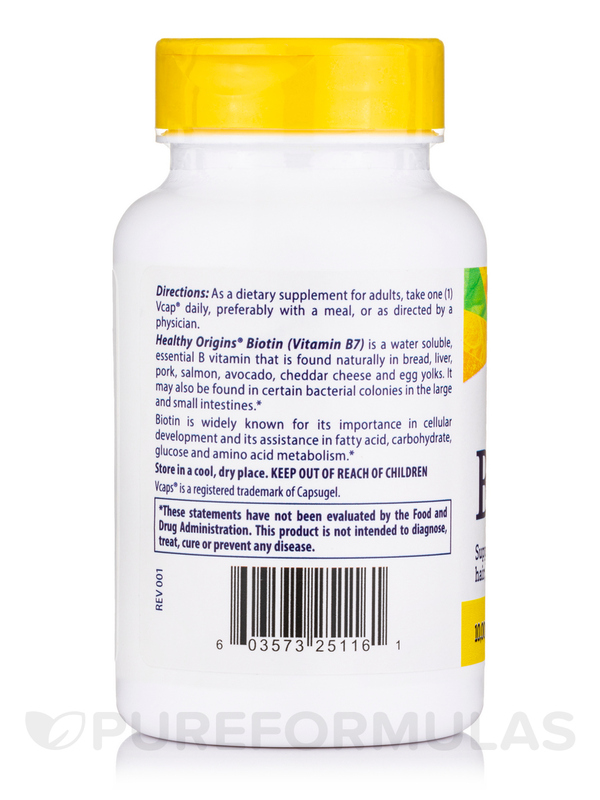 Biotin is widely known for its importance in cellular development and its assistance in fatty acid carbohydrate‚ glucose and amino acid metabolism. Biotin is also a very important nutrient in hair‚ skin and nail health. - Supports healthy hair‚ skin and nails. No Sugar‚ Salt‚ Yeast‚ Wheat‚ Gluten‚ Corn‚ Soy‚ Fish‚ Shellfish‚ Nuts‚ Tree Nuts‚ Egg‚ or Dairy. No Artificial Colors‚ Artificial Flavors or preservatives. My nails were breaking off and splitting, so I decided to try biotin. I wanted something with the least amount of by-products. 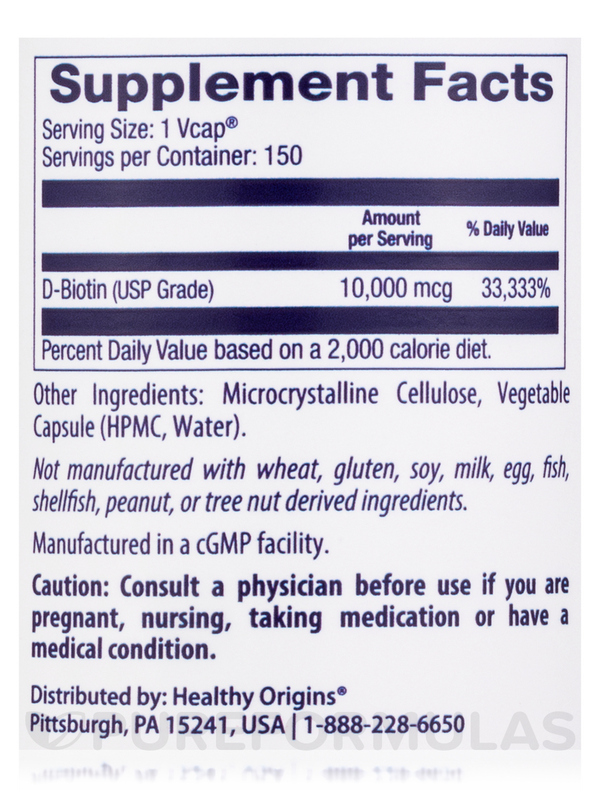 Biotin by Healthy Origins met all my criteria and the problem has mostly subsided. I started out using 5,000 mcg and worked on up to 10,000 mcg a day. Made only with rice and vegetable capsule. 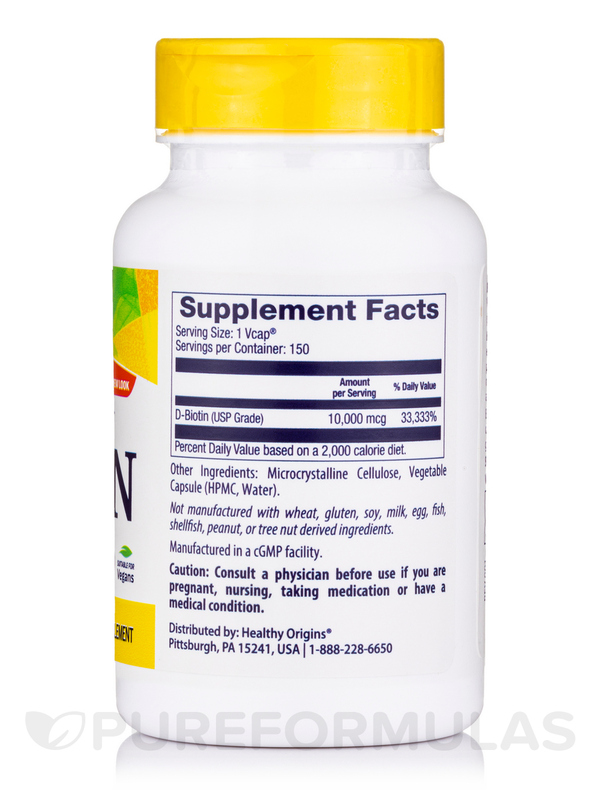 I have been taking Biotin 10000 mcg by Healthy Origins for several months. It was recommended by the wellness doctor. It has worked well for me.